Plot - An illustrious military contractor is given a task to negotiate on the behalf of billionaire who intends to develop nearby land in Hawaii into a space center. Brian Glicrest is a former military personnel who is given a task to negotiate with the Hawaiian community on behalf of Carson Welch, a billionaire who plans to set up a space center. He is accompanied by Allison Ng, an Air Force liaison who seems as fascinated by space as he as in his childhood and early years. He also walks in to his former girlfriend, now married, and reminisces about the old days. 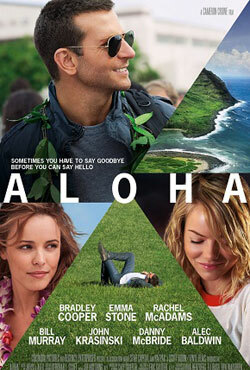 Awards & Nominations Won by "Aloha Movie"
Box Office Earning of "Aloha"